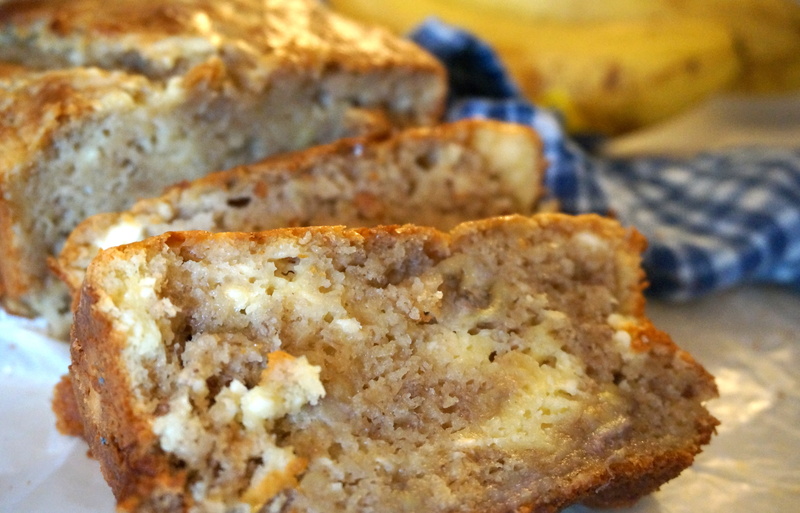 I’ve been wanting to try out this recipe for a long while now, because seriously- who can resist a melt-in-your-mouth banana bread with a layer of cream cheese swirl “surprise” nestled right in the middle? Best. Idea. Ever. I wish I could say I came up with it on my own, but I based this recipe off of one from Averie Cooks with only a few minor tweaks (more yogurt, an additional banana, and a pinch of cinnamon). I also decided to “swirl” the cream cheese layer, as the remaining batter on top didn’t quite cover it all and cream cheese started to seep out the top corners. Anyway, it did not disappoint. You NEED to try this out for yourself. Honestly, I don’t think I’ll ever make it another way! 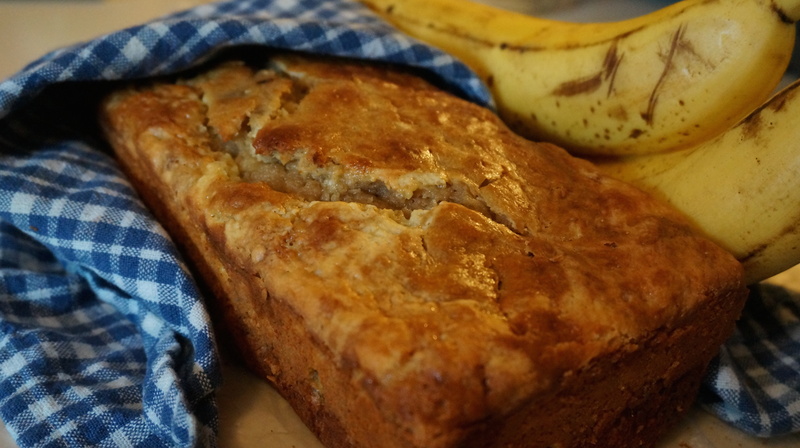 Enjoy this deliciously moist banana bread, swirled with a smooth cream cheese filling, on a rainy Saturday morning with a hot cup of coffee and a good book! Actually, this bread is good at ANY time of day! In a large bowl, whisk 1 egg, brown sugar, oil, yogurt, and vanilla until smooth. In a separate bowl, sift together 1 cup flour, baking powder, baking soda, salt, and cinnamon. Gently fold into the batter with a spatula until just combined. Pour about 2/3 of batter into bottom of loaf pan and even out the top. In a separate bowl, use an electric mixer to mix cream cheese, remaining egg, 3 tbsp flour, and granulated sugar. Beat until smooth. Spread cream cheese filling into the loaf pan. Top with remaining bread batter and gently smooth until even. Using a knife or skewer, “swirl” top of batter just about 1/2″ down into the cream cheese filling. Bake 50 minutes or until top of bread is golden and cream cheese filling appears to be set. Cool about 10 minutes before gently releasing the sides of the bread with a knife and inverting the loaf to remove from the pan.